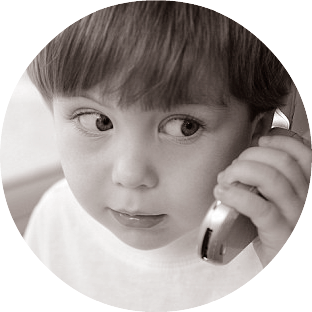 Almost all health providers agree that more research is needed to evaluate the impact of EMF on children and many recommend limiting EMF risks for children.The abstract of a recent Swedish study focuses on the impact on children of cell phone is an example: “While the government has deemed RF radiation to be safe, there is no current significant research to make this claim. To determine the relationship between cell phone radiation and brain cancer requires long-term studies lasting decades and with inclusion of frequent users in the subject pool. Further, to extend the results of any study to children requires controlling for the differences between juveniles and adults regarding the composition of the head, and bone density and neural tissue. Dr. L. Hardell of the University Hospital of Sweden noted that "it is necessary to apply the precautionary principle in this situation," especially for long-term exposure that is likely to affect children (Hardell as cited in Mead, 2008, p. 1). There is cause for concern.” Rosenberg S., Cell phones and children: follow the precautionary road. ,J Pediatr Nurs.,2013 Mar-Apr;39(2):65-70. Davis DL, Kesari S, Soskolne CL, Miller AB, Stein Y, Swedish review strengthens grounds for concluding that radiation from cellular and cordless phones is a probable human carcinogen. J. Pathophysiology, 2013 Apr; 20(2):123-9.